For Kiki Vance, exploration of movement with deep body awareness is a profound pathway to inspiration, humility, humanity, new discoveries, healing and more. With a lifetime of study in movement and bodywork she has enjoyed years of physical adventure including her share of injuries along the way. The challenges and recovery from injuries are part of what have helped Kiki relate to her clients and students. She finds that the somatic explorations of movement and the body can evoke a curiosity and playfulness that help us find resonance with others, the poetry of ourselves and our authentic being-ness we can share with the world. Kiki trained as an Anatomy Trains Structural Integration practitioner in 2005, is an ISMETA registered Somatic Movement Therapist and Educator, she studied with Moving on Center and Martha Eddy in their Particpatory Arts and Somatic Movement Therapy modules, she has studied dance since she was 3, spent 5 years in endurance cycling, she has trained extensively in Pilates and Gyrotonic® exercise, and she has enjoyed informative education from many generous teachers in her almost 25 years studying movement, hands-on therapies and body. Kiki had the opportunity to work in a physical therapy clinic in collaboration with PTs not only to bring structural bodywork and its theories to treatments but also to apply more movement-based rehabilitation to the patients’ care. 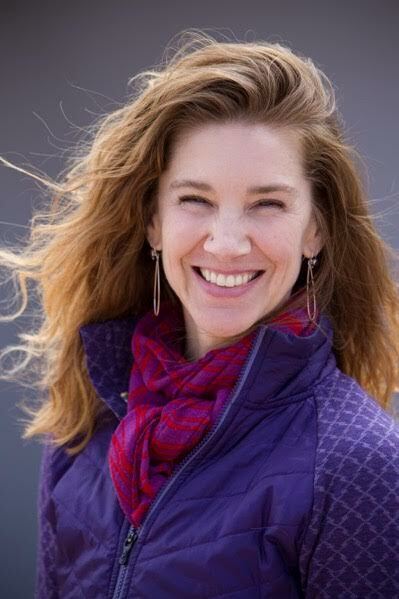 Currently she holds a private practice in Santa Fe offering movement training and structural integration, she also teaches group classes in Gyrotonic® exercise as well as Myofascial Slings Training. Through the Anatomy Trains model, the ideas put forward by James Earls through his book Born To Walk, and Anatomy Trains in Motion and Slings Myofascial Training, Kiki’s perspectives and understanding of the “hows and whys” of movement dysfunction have deepened and these theories and accompanying skills have offered tremendously productive tools to address clients’ needs. These models serve as effective ways to help her clients learn in terms of movement strategies and postural options and they offer Kiki a more holistc approach to addressing clients’ challenges and helping meet their goals. Kiki lives with her family in Santa Fe, New Mexico. She is excited and honored to be a part of this growing field of spatial medicine.